Aberdeen's newest academy has been forced to close this morning due to an issue with its water supply. Manchester City supporters have transformed impoverished children’s access to clean water in an Indian mega-city which is fast running out. Aberdeen could be among a host of places in Scotland to benefit from hi-tech public taps as part of a bid to encourage people to drink more water. A north-east road has been closed after a water pipe burst in a restaurant. A north-east is giving out free bottled water to residents affected by shortages in private supplies. Water levels below the earth’s surface are at their lowest for 10 years in parts of the north-east, according to an environmental body. 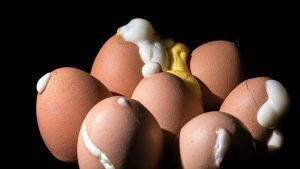 As mercury continues to rise across the north-east, residents have been urged to conserve water. A safety group has called for people in Aberdeen to think about how to keep secure around water. 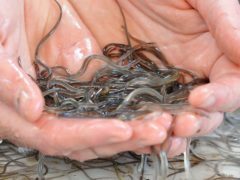 Eels exposed to low levels of cocaine in rivers and other fresh water bodies could be getting hyperactive and suffering with muscle damage, according to new research. 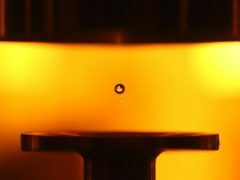 Scientists have identified a new way to detect harmful metals in water: using sound waves to levitate droplets in mid air. 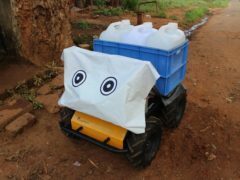 A four-wheeled robot named Husky has been helping villagers carry water in a remote part of India. A number of homes in the North-east have this afternoon lost their water supply due to a burst main. 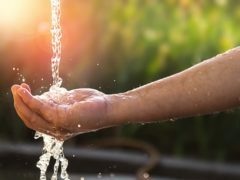 A new low-cost sensor which tests drinking water for arsenic in just one minute could protect millions of people from dying. What are divining rods and why are some UK water companies still using them to find leaks? 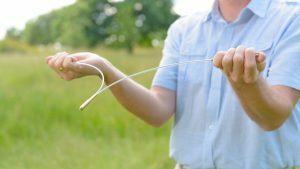 Divining rods are still being used by water companies to locate underground pipes in the UK despite there being no scientific evidence that this archaic method works, an Oxford University scientist has found. Offshore workers were banned from drinking the tap water on their platform after it was found to be contaminated with diesel – but were told to keep showering in it. 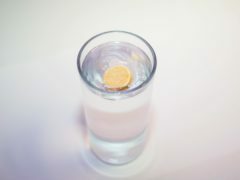 A food watchdog has issued a product recall notice for a North-east manufactured flavoured still water. Residents have been warned they could face up to eight weeks of disruption to their water supply as a result of the Aberdeen bypass. Homes in an area of Aberdeen have been left with no water supply after a water main burst. A dog has died after it fell off a bridge into a North-east river. Although Mars is now pretty dry, scientists have just found evidence that it might have been wetter in the past than anyone had thought. Two areas in the North-east are being investigated by an environmental body after failing to meet water standards. A big-hearted Aberdeen airport worker has swapped the duty free shop for an African village as part of a programme to bring water to the world's poorest people. Water services have been restored to a North-east community, following a burst water main. A NORTH-EAST mum told today how she feared her family would die after their car plunged off a snowy road and into water. Flowing liquid water is almost certainly responsible for mysterious features on Mars that change with the seasons, scientists believe.